Our committee of judges is made up of expert designers, developers and publishers. Each judge goes through a thorough and complete examination of each and every mobile app submitted for an award. This high level list holds true for the general population of mobile apps, however when focused on each specific category there are other parameters the committee takes into account when judging the apps. Category specific app design and development experts will review each app upon completion of each contest’s deadline. Until the deadline, starting at the launch date, apps can be submitted here. 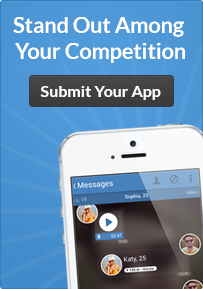 Apps are welcome to be submitted anytime within the contest’s open period. However, there is no advantage given to those apps submitted earlier than others. Any questions regarding the judging process? Don’t hesitate to contact us.